This week Kevin Kuranyi was quoted in German media with the following statement: “I do want to extend my contract at Dinamo but there is a lot of pressure from the family to leave Russia, and this could be very well my last season in the Russian Premier League.” But Kuranyi’s contract extension could be the least of Dinamo’s worries, as the club is now under investigation by UEFA over the breach of Financial Fair Play regulations. Dinamo is not the only Russian club under investigation as Lokomotiv is also facing sanctions by UEFA. The period investigated by UEFA includes the years 2012, 2013, and 2014, in which Dinamo managed a transfer minus of €59 million. In the summer of 2013 Dinamo invested €67 million for six players brought in from Anzhi Makhachkala. Lokomotiv’s transfer minus for the same period is stated to be €31 million. UEFA stipulations allow a transfer minus of €45 million over the course of three seasons with a maximum loss of €5 million in the same period if the owner does not inject equity, a process in which the owner forfeits money that is owed to them by the club. Technically this should not be a problem for Dinamo owner Boris Rotenberg, but he is one of the many individuals that have been sanctioned by the United States over Russia’s involvement on the Crimea, and the Donbass. With the owner under sanction and the fact that players have been paid in foreign currency, this could result in further budget problems for Dinamo. Kuranyi, when asked whether or not he was paid in roubles, responded that he was paid in Euros. It would therefore be no surprise if Dinamo were happy to see the aging German star off the books. The rouble crisis further escalates the transfer minus generated by Russia’s major clubs. Already last season three Russian clubs were fined by UEFA for FFP violations: Zenit St. Petersburg to the amount of €12 million, Rubin Kazan for €6 million, and Anzhi Makhachkala for €2 million. If the current economics continue clubs could face further sanctions by UEFA, which may even include a ban from playing in European competitions. 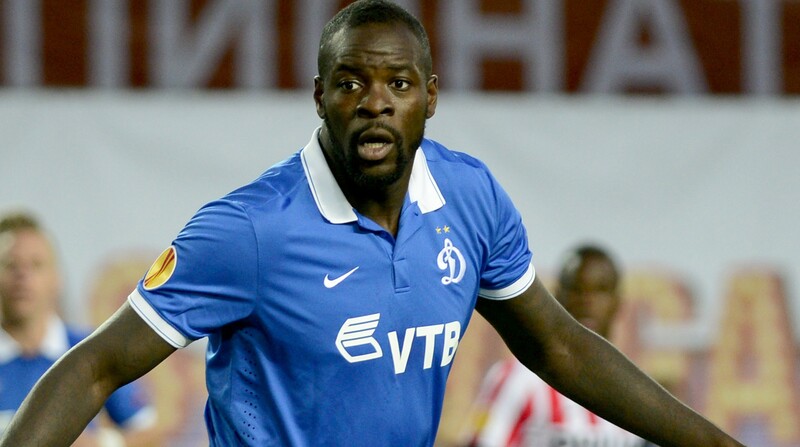 For Dinamo Moscow possible sanctions by UEFA could have a massive impact. For years the club attempted to qualify for the UEFA Champions League. Part of the reason why the club has overspent on players is that the club has been without a proper tactical concept, and that as a result the transfer market has been a revolving door for the club with a steady coming and going of new players. Currently, the club is sitting two points behind local rival CSKA Moscow and with one game in hand a Champions League qualification could indeed be in the books for the club this year. As Kuranyi explained to the German magazine Der Kicker on Monday, the club finally has a sound playing philosophy, and has been playing well under coach Stanislav Cherchesov. On the eve of the Champions League qualification, however, the unstable finances of the club as well as new geopolitical circumstances could jeopardize potential UEFA participation for the coming season. Russia 2018: Could the World Cup be Boycotted?